This model has three features: low rotating speed, high torque, and extended rotation movement. With an enlarged extrusion pipe, this model is capable of mass production through its rolling extrusion feeding. 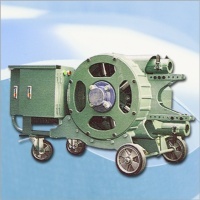 This model can be used as a blasting machine, offering smooth feeding.